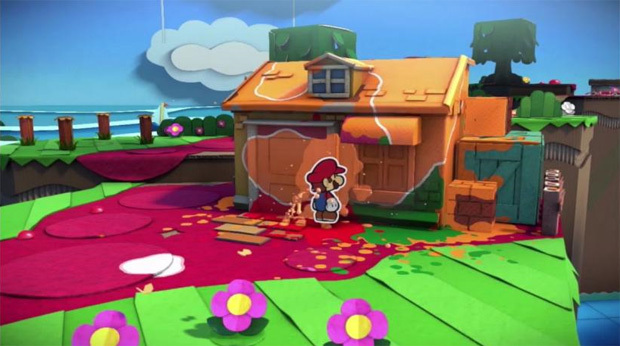 Summary: Paper Mario Color Splash is a brilliant return to this spin-off Super Mario game that proves 2D, colours and 3D work amazingly well together! 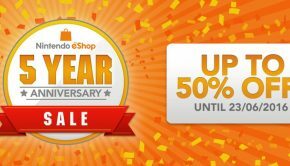 ‘Paper’ Mario returns in this all-new action-adventure as the world of colours are disappearing from the Prism Island and it’s up to our 2D hero to uncover the mystery and stop who or ‘what’ is responsible (e.g. The Shy Guys and a predictable antagonist). 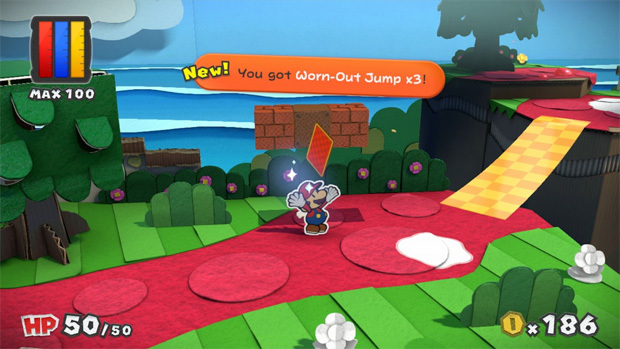 Although Paper Mario Color Splash is an adventure game, it’s actually a turn based title that mixes hands on intervention. There’s lots of puzzles to solve and some great humour used by the developers that at times had me in hysterics. So while you explore this drab universe (you need to bring back colour), you will encounter a variety of NPC’s who need your support plus breadcrumbs that lead to the big bad finale and maybe a princess to be found along the way. 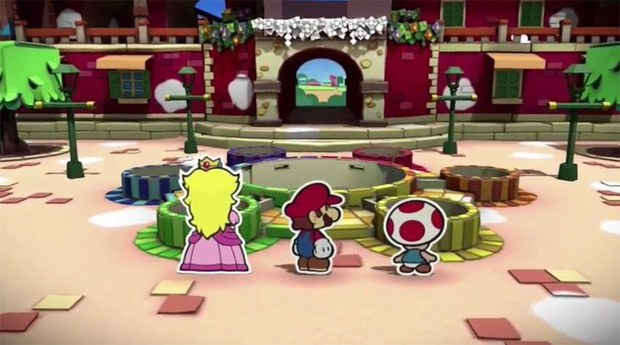 As mentioned, the main goal of Paper Mario Color Splash is to return colour to the lands and this is done by finding the six coloured stars that are littered through some diverse and very cleverly designed environments. As you explore Prism Islands, there are also mini-stars that need to be collected plus a fun and sometimes challenging boss battle on each stage. 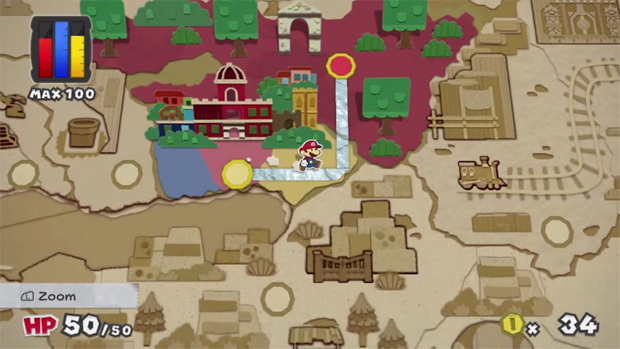 To help Mario, he has a magical or is that a colourful hammer that allows him to attack enemies, break down obstacles and add colour back to the universe. 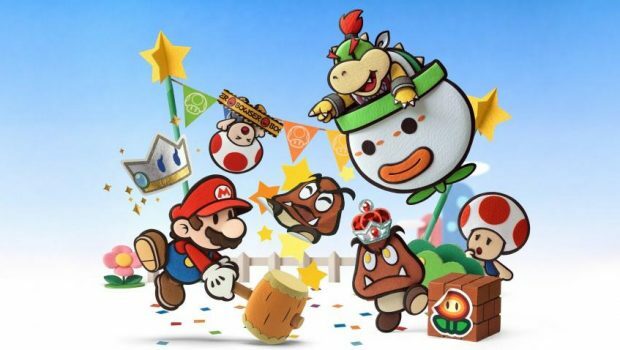 Also, the poor toads of this universe have also had their colours removed and only you and Mario can help bring them back to their former glory. Furthermore, there’s lots of collectibles and power-ups to be found with some right off the beaten track so your exploring is rewarded. Battles are turn-based which requires you to collect as many cards before each battle and then ‘throw’ them at your opponents. Each card has a different attack and some timing does come into play. However for boss battles, you need to collect certain cards in order to defeat them because your stock standard cards are not powerful enough for the majority of the time. On the Wii U these card battles work quite well thanks to the touch screen and there is slight learning curve to working out the gaming system but thankfully the games does its best to teach you, including facing bosses and puzzles. 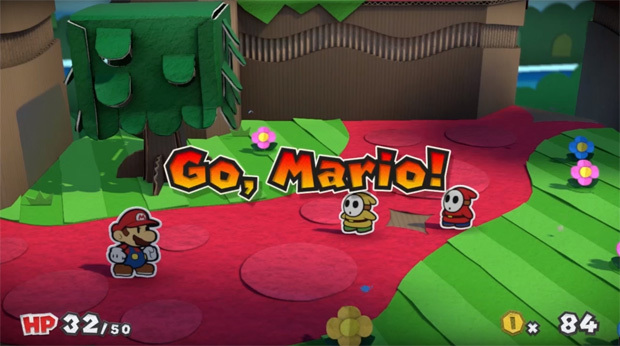 So when matched with the exploring and that turn-based combat, Paper Mario Color Splash is quite an addictive adventure that slightly borders on that RPG-lite experience. 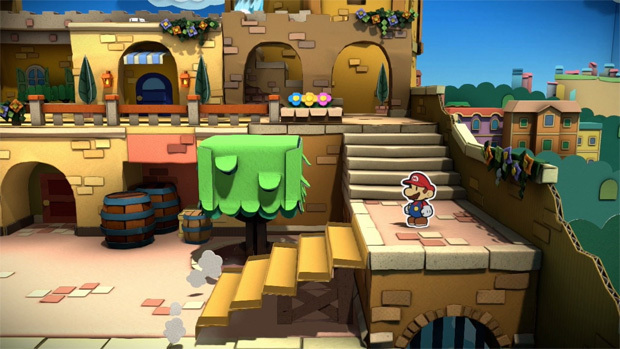 Graphically, Paper Mario Color Splash looks amazing on the Nintendo Wii-U and its gaming environments are some of the best stylised graphics that I’ve seen on this console in a long time. 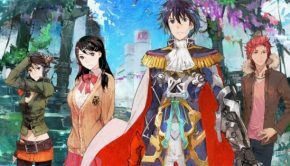 Then you its kaleidoscopic colour palette that really jumps out of the screen and when linked with the gameplay, it’s like you’re creating virtual art on your television. Add in some very cool special effects that ‘pops’ and Color Spash really bounces when it comes to creativity. 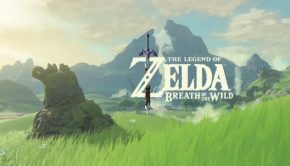 Musically, wow… the soundtrack behind this title screams Nintendo and I love how it changes with the different environments that you explore, including the encounters you face. 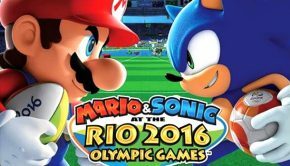 All in all, the graphics and audio create one very memorable experience on the Nintendo Wii U.